As a real estate agent, you must wear many different hats. The social media hat is one that is gaining more importance than ever. In this article, we've gathered some of the most influencial and creative real estate profiles on Twitter. These agents really know how to use the platform to drive business back to their bottom line. Hopefully this will inspire you to use your own creative style to drive clients back to you and increase your business..
To survive in the real estate business, you have to have a sense of humor. 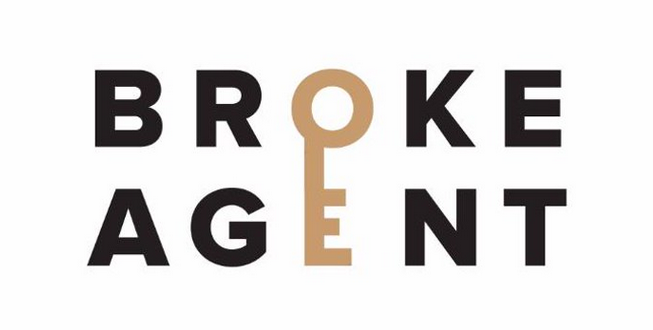 The Broke Agent knows this better than anyone by providing agents with funny antedotes, video clips, MEMES, etc. If you're having a bad day and need a laugh, there's no better place than The Broke Agent..
Bill Gassett is a legend in the "real estate social media" space. He is successful in connecting ALL his different social media accounts into one, cohesive messaging platform. Having consistently acheived status of the top 5 RE/MAX agents in Massachussets for the last decade, Bill certainly knows how to utilize social media to attract clients and promote listings. Lorre Burden is the undesputed Queen of the "ReTweet". She is hyper-active in social media and hand-selects every piece of content which receives a retweet. She has a knack for keeping her Twitter feed visually appealing with large photos of design styles, scenery and of course, luxury homes. Carla Carlson is a real estate agent in Texas who has mastered how to make a Twitter feed interesting. She has an instinctive sense on the type of content which keeps her followers engaged. Her strategy includes systematically weaves current events, quotes, informational articles and more in a flowing patchwork....always keeping them coming back for more. Amy is a self-professed, "VP of Learning for Better Homes & Gardens Real Estate. Investor, Author, Implementor, Speaker, Farmer, REALTOR, Chaos Creator, Fan of Authenticity"
With such a diverse knowlege and experience base, Amy delivers currated content to her followers and she's super consistent with quality. Much like other real estate enthusiasts, she regularly posts links to relevant articles, but she even takes it a step further by offering a personal, one-sentence introduction to most every piece of content. This personal touch feels very authentic and we're sure we'll be seeing more of Amy in the future! Jeffrey C Hogue is the Founder of Weichert Realtors in Berks County, PA and he's the king of branding himself to his local area. Jeff is consistent with his use of colors, logo as well as providing a useful Twitter feed which is filled with a depth of information; even occasionally "calling-out" sub-par customer service from well-known companies! His style is very personal, which almost makes you feel as if he's having a conversation, 1-on-1 with you..
Do yourself a favor and follow him - much can be learned! Motivation. Motivation. MOTIVATION! - That's what you feel when you follow Lisa Archer. Lisa is Chief Opportunity Officer of @LiveLoveHomes featured on HGTV. Her tweets are short, direct and to-the-point; No fluff, no fancy graphics. Follow her, you can expect to see frequent tweets like "You Are Amazing!!" Get your MOTIVATION in-check and follow Lisa Archer. The Sue Adler Team has been the #1 Keller Williams Team in New Jersey for dollar volume for past eleven years straight – and is consistently one of the top KW teams in the country. Sue is great at creating a sense of urgency with her "Sneak Peek" tweets about her listings which are soon coming to the market. FOMO, or "Fear Of Missing Out" is Sue's greatest strategy. Debbie Drummond is a full time Realtor delivering happiness one home at a time! She keeps her Twitter feed bright, open and informative. At first glance, her followers are able to get a sense of the beauty of the area she serves, which keeps them around for the informative articles, posts, graphs, etc. Debbie gives her followers the "whole picture" of the home buyer and selling process, including mortgage information and many other extras. Xavier De Buck is a real estate agent hailing from Johannesburg, South Africa. The content in his feed seems to be chosen with an artistic flair - visually appealing yet full of useful information at the same time. A collection of the hottest technology trends and resources on how to use them to attract more clients.